Mitsis Ramira is located along its private stretch of sandy beach on Psalidi, only 3.5 km from Kos Town. Free sun beds and umbrellas are provided on the beach and next to its 3 pools. One of the pools features integrated hydromassage jets. The 5-star Kipriotis Maris Suites is located in Psalidi village of Kos, just 150 metres from the beach and 3 km from Kos Town. Located 200 metres away from Psalidi Beach, the 5-star Kipriotis Panorama Hotel & Suites features a spa centre and 2 large outdoor swimming pools. 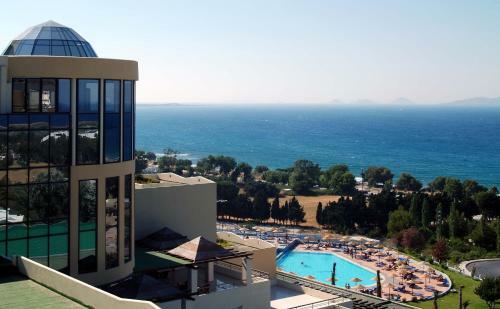 Its rooms and suites overlook the Aegean Sea and it offers various dining options. The traditionally built Princess Lanassa is in the 300-year-old country home at Kostitsi, North Tzoumerka. It takes its name after the second wife of King Pyrhos of Epirus. WiFi is free in public hotel areas. Within walking distance from the beach and the centre of Kos, the 5-star Peridis Family Resort consists of 5 buildings, 2 large pools and a buffet restaurant. Featuring an outdoor pool, balcony and garden with BBQ, Kastraki Epavlis is located in �gios M�rkos in Corfu. It is 200 metres from Pyrgi Beach and offers 2 fireplaces. Free WiFi is available. Just 1.5 km away from Kos main town, Aqua Blu Boutique Adults Only Hotel includes an indoor and an outdoor swimming pool, and a wellness centre. Its contemporary style units enjoy Aegean Sea or pool views. 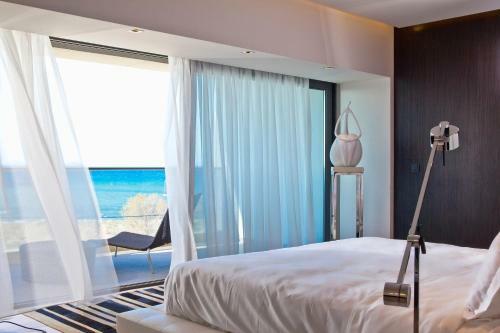 This 5-star luxury hotel is situated only a few steps from Grikos beach, in Patmos. The stylish hotel offers spa and fitness facilities, as well as fine dining in a unique seafront setting. Boasting a beachfront location in Lambi, the adults-only Diamond Deluxe is a 5-star hotel offering rooms with PC and free wired Internet. It includes a spa centre and a 2,000-m� pool complex. 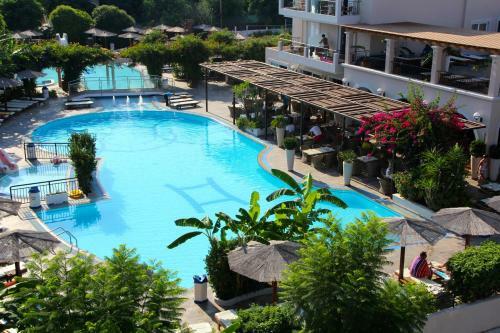 Boasting a private beach, 3 landscaped pools with waterfalls and rivers and a children's pool, Kos Imperial features 5-star accommodation set within exotic gardens, in Psalidi area. It offers a spa centre and a variety of gourmet dining options.